Fujifilm North America is making technology a center piece of its newly reorganized field service operation. The company, which sells and services imaging and photography equipment, is combining its North America field service teams of its Imaging Division and Graphic Systems Division to create the Fujifilm Technical Services Group as of April 1. The new organization will employ more than 500 technicians and be headed up by Neil Johnson, vice president and general manager. The imaging division team typically services large retailers, photo labs, and film processors that handle archival services. The graphics division traditionally supports customers operating filmsetters, platesetters, and plate processors, but those systems have largely given way to inkjet presses and digital packaging equipment. According to the industry journal Printing Impressions, that means Fujifilm has had to re-evaluate its technical needs in the field. Fujifilm also shares the common field service challenge of the retirement of experienced engineers and difficulty in finding new, younger technicians to work in an increasingly complex field. One approach to help with the technician shortage: using new technology to help its technicians provide support to customers and to each other remotely. The company has invested in augmented reality technology along with document and video sharing. Last spring, Fujifilm began piloting an augmented reality system from Israel-based field service solution provider Fieldbit. 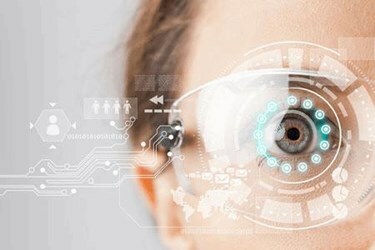 The Fieldbit solution allows print production equipment manufacturers to equip their technicians with an augmented reality tool consisting of smart glasses, a smart phone, Web application, and a software as a service (SaaS) platform to enable hands-free visual collaboration with other technicians. The solution can help improve results when it comes to complex machinery fixes that may require consultation with far-flung engineers or other experts. The remote expert can share the field engineer’ view. The system can superimpose video, diagrams, and other material via the smartglasses into the on-site technician’s view as well. The system can also help remotely diagnose problems and help ensure technicians arrive with the right spare parts at the customer site. Another company, Durst Image Technology, has also piloted the solution.